Increasing complexity drives IT service management outsourcing buyers to re-evaluate their service integration and management strategy. WondersMind facilitates the assessment of the right SIAM service integration and management model. Our two-fold approach toward IT service integration helps enterprises overcome the challenges associated with integrating and aggregating the supplier ecosystem. The WondersMind SIAM model ensures conducive conditions for collaboration by aligning the ecosystem with customer demands. The solution drives strategic innovation and collaboration in the ecosystem, while maintaining competitive tension. Additionally, the WondersMind SIAM gold blueprint provides an aggregation solution, a service management platform, and an industrialized “service bus”. The WondersMind SIAM Service Now Gold Blue Print is the process ecosystem of WondersMind best practice processes; designed, used and maintained for SIAM services and managing a multi supplier environment pre-implemented on the Service Now platform with best practices pre-configured. The solution includes a detailed document set to implement SIAM; including project plans, process documents, measurement methodology, governance forums, OLA templates, training material, etc. All are facts required to operate, manage and integrate with other providers are also pre-defined. •	Service Orchestration & Publishing: Orchestration of multiple service offerings from different service providers utilizing Shopping Cart functionality of Service Xchange for IT as well as non-IT services. 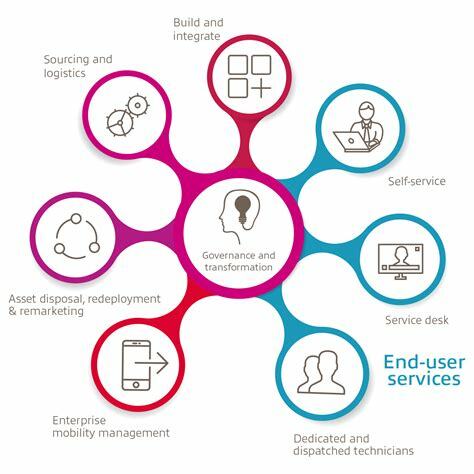 WondersMindXSM or “XaaS Service Management” enables a modern, consumption-driven engagement model and goes beyond the traditional IT service management. It is offered as SaaS solution and connects the various consumers (business users, IT practitioners, or end customers) with goods and services that they need to drive productivity and innovation. It fosters service consumption and automated fulfillment, knowledge sharing, self-service support, and collaboration between communities of interest to improve the overall engagement experience with IT, while supporting the traditional ITSM processes and models. With best practices, businesses can safeguard themselves against potential risks associated with changing their outsourcing strategy. Wherever possible it’s useful to consolidate areas of necessity into one vendor relationship. For instance, instead of hiring nine vendors to service each of your IT infrastructures needs, hire three vendors who each cover three of the requirements. Even if they subcontract the work you are going to enter into a single agreement with each of them that ensures quality standards are met. A technical service catalog can serve as a guide that tells you what dependencies must be met for each vendor to perform. With a complex model like SIAM, vendors will rely on one another to communicate and complete tasks. Keeping track of this through visual and written descriptions will help keep everyone on track and ensure processes are always followed. Your Vendor Agreement is the binding document between your company and a supplier, that ensures your end-user’s expectations are being delivered on, and your company’s mission is being furthered. Some things to include are cooperation clauses between vendors, a service management manual with guidelines and key performance indicators that will be used to determine if the vendor relationship is successful. By building relationships with your vendors you take the experience beyond a transaction and inspire others to focus on your brand’s mission. If one relationship should go awry you have a backup plan with your other vendors who value the relationship you’ve built to complete the work.